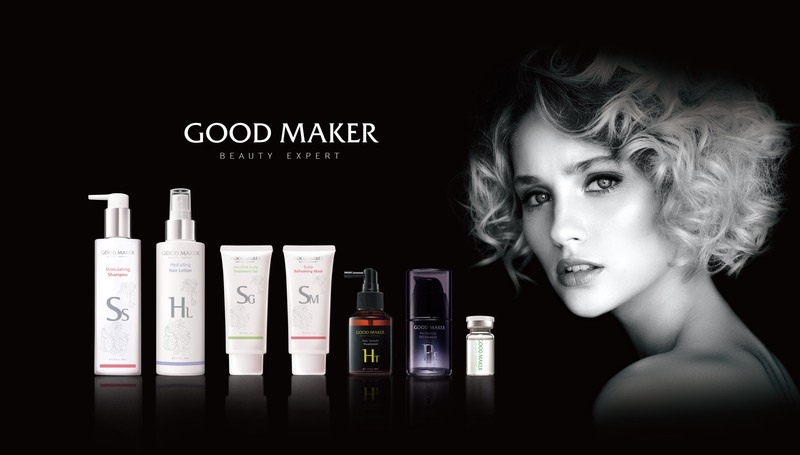 GOOD MAKER: A milestone in hair products that extends skincare concept to hair and scalp care! People nowadays are smart and generous when shopping for themselves. With the popularity of aesthetic medicine, whether you are twenty or sixty years old, everyone is in search for a youthful looking skin and they follow inclusive-care trends. However, with extreme climate changes and conditions, more and more people are compelled to look towards basic “growth capacity” treatment for skin and hair care. 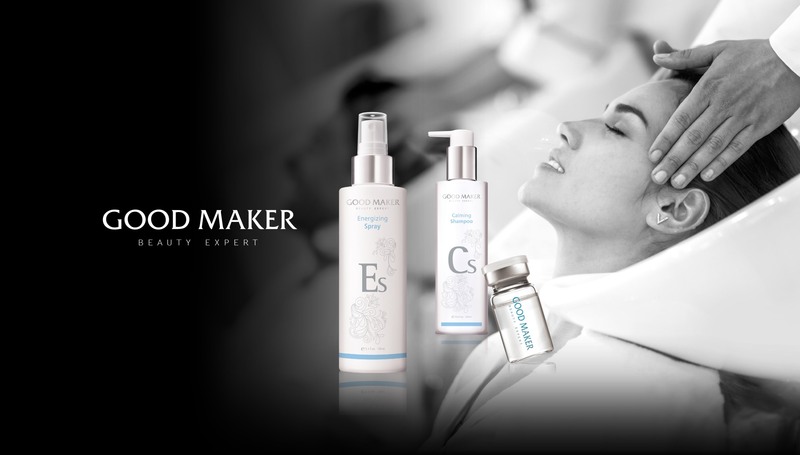 GOOD MAKER has an R&D team of aesthetic medicine professionals who provide cutting edge technology research to care for your hair and scalp the way you care for your skin. 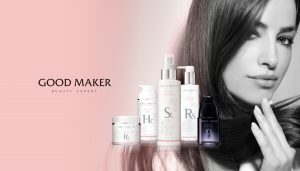 GOOD MAKER focuses on “enhancing the fundamental power” by launching six series of aesthetic medical hair products. These products not only take away most of your hair and scalp troubles caused by environmental changes and stresses in life but also meet your needs to achieve a beautiful and chic look fast! 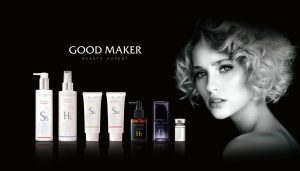 GOOD MAKER products have been received beautifully from designers in a variety of beauty salons. They believe that GOOD MAKER products solve both client’s hair problems as well as enhance their professional look. Most importantly, GOOD MAKER products provide exceptional high quality products and exquisite service experience to all their clients. The birth of the first aesthetic medicine hair products that treat your hair and scalp the way you treat your skin! GOOD MAKER is the first series of hair products that are made with aesthetic medical ingredients. With the US-based aesthetic medicine professionals, the latest technology and top-quality raw materials, GOOD MAKER has applied the concept of skin care ingredients to hair and scalp care. This exclusive and revolutionary technology transformed carbon dioxide throughout the whole manufacturing process while ensuring that our planet is not polluted with bad chemicals. GOOD MAKER not only strikes a balance between styling and healthy application, but also makes a conscious effort to protect our environment. All products have concentrated activation energy which gives you beauty in a snap of the fingers! 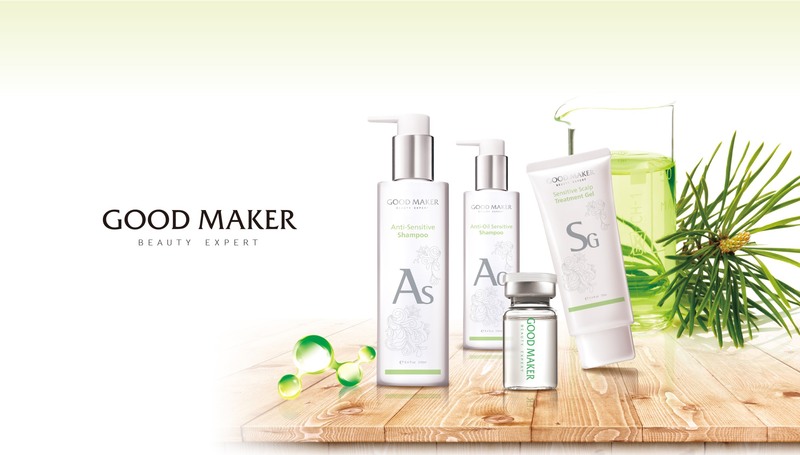 GOOD MAKER is a professional biotechnology brand for hair/scalp care. Biotechnology combines marvelous traits of fastness properties with chemical synthesis and natural plant extracts. Moreover, the patented leading extract technology greatly enhances the effectiveness of care. The small, refined molecule absorption delivers excellent repairing power and activates hair regenerative cell. The longer you use the product, the better the results. This is a concept of FAST beauty. Beauty does not wait. You can maintain your best self with ease. Anti-allergy hair products catering to sensitive skin! GOOD MAKER produces all its products with anti-allergy and anti-oxidation functions. It focuses on enhancing the fundamental treatment of the scalp which takes away problems caused by environmental changes and stress in life. It is a must-have hair and scalp treatment for people with sensitive skin. A level of aesthetic-medicine with gentle care which delivers a whole new experience that will make you feel good! All products of GOOD MAKER are made with highly concentrated ingredients using aesthetic medicine for skin care. It is so good that you can apply it to your entire body and it effectively restores your skin cells. This product will solve problems for all skin types. Its exquisite texture appeals to GOOD MAKER customers. GOOD MAKER promises you gentle and regenerative care that delivers a whole new experience! Top quality precious organic raw materials are used in everyday care! GOOD MAKER uses a number of aesthetic materials worldwide. The organic raw materials contain CE marking which are extracted with biotechnology, and precious essential oils. Because GOOD MAKER believes that a good life begins with good products, therefore, good products must have good ingredients. 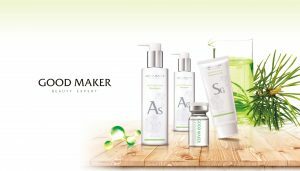 For more information about Good Maker, please visit: www.goodmakerbeauty.com. This entry was posted on Thursday, July 6th, 2017 at 6:36 pm	and is filed under Lifestyle, Press Release. You can follow any responses to this entry through the RSS 2.0 feed. You can leave a response, or trackback from your own site.